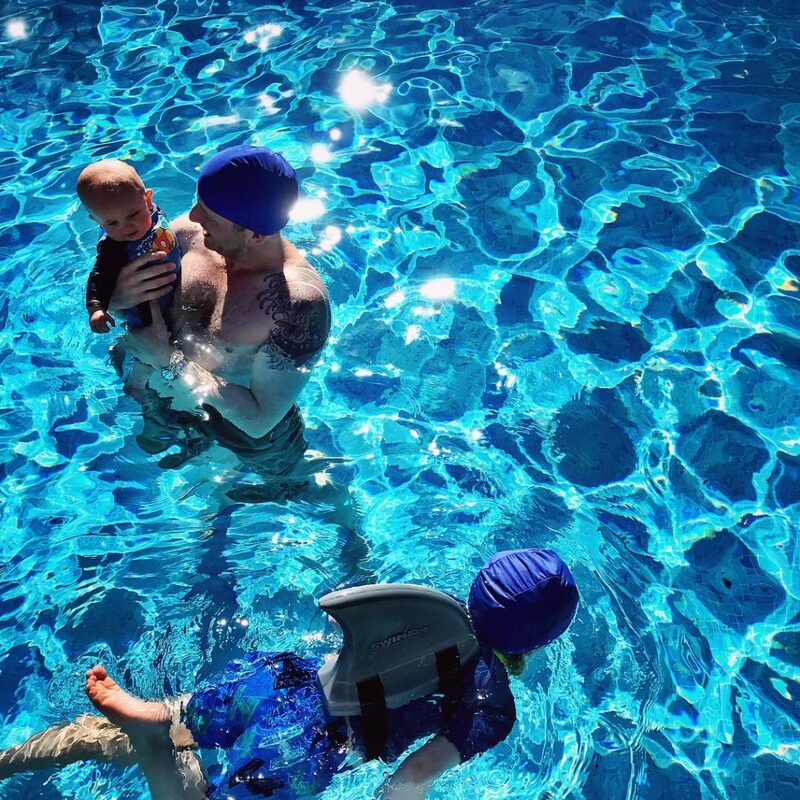 Both Leigh and I love being in water, and the ability to swim confidently (and to enjoy it) was always one of the skills we were keen to pass on to our kids. Arthur’s first introduction to swimming came at six weeks old. 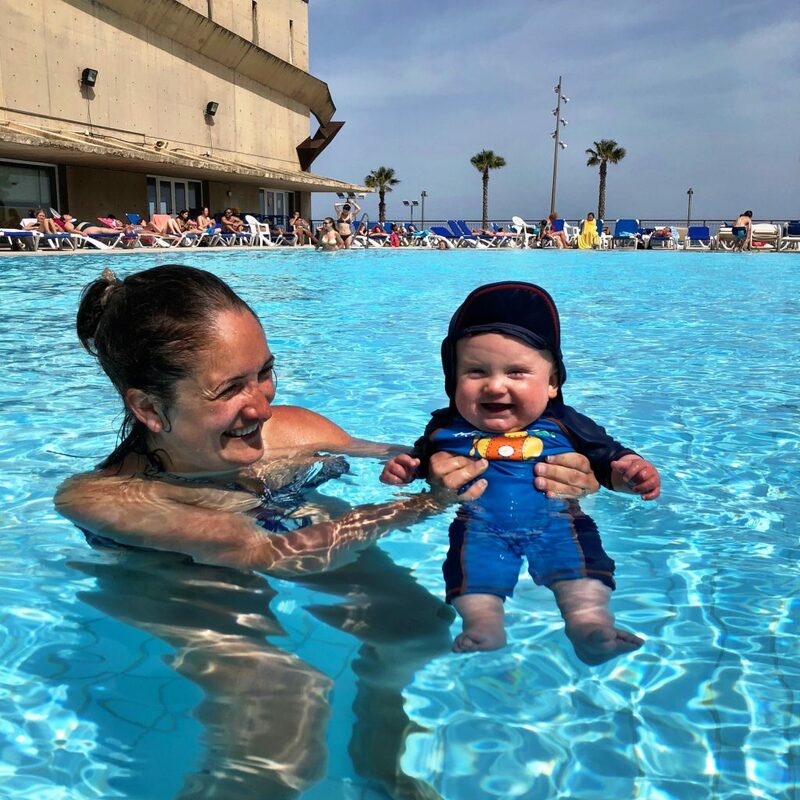 We were so excited, but he was definitely less so… We considered signing him up for baby swim classes, something that all of our friends seemed to be doing, but it just didn’t happen for one reason and another. The fact that I didn’t drive made getting to them difficult, and my aversion to indoor pools didn’t help my motivation to work it out. 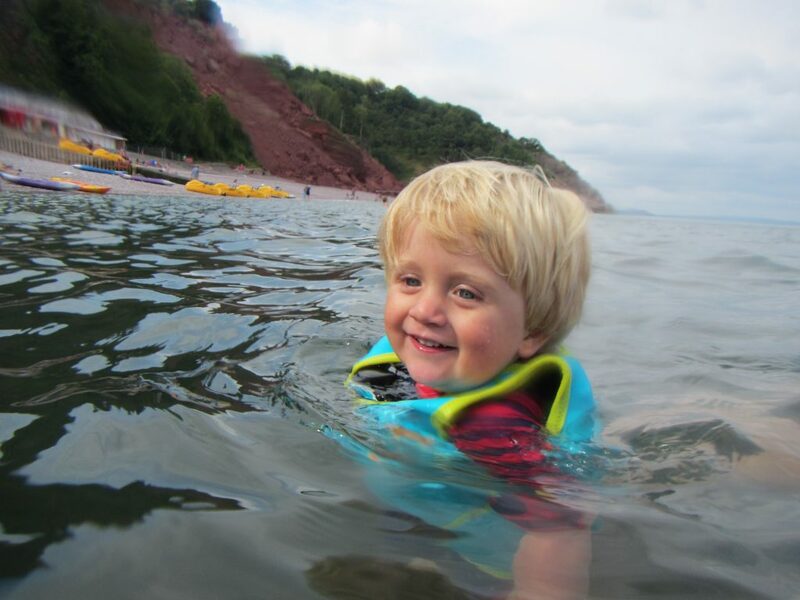 In the end most of Arthur’s early swimming experiences took place in the sea – both in shallow open waters and in the safer confines of Shoalstone Pool. He was only just over six months old that first summer but the cold didn’t seem to bother him, and gradually his enjoyment and confidence began to grow. Initially swimming together was all about the cuddles, with brief moments of immersion to give him a sense of freedom in the water. As he got older, we used float suits to increase that freedom further. Arthur loved being able to propel himself through the water – to feel like he was swimming all by himself. Except of course he wasn’t, not entirely. And I was still nervous about his ability to cope if he ended up in the water without any added buoyancy. 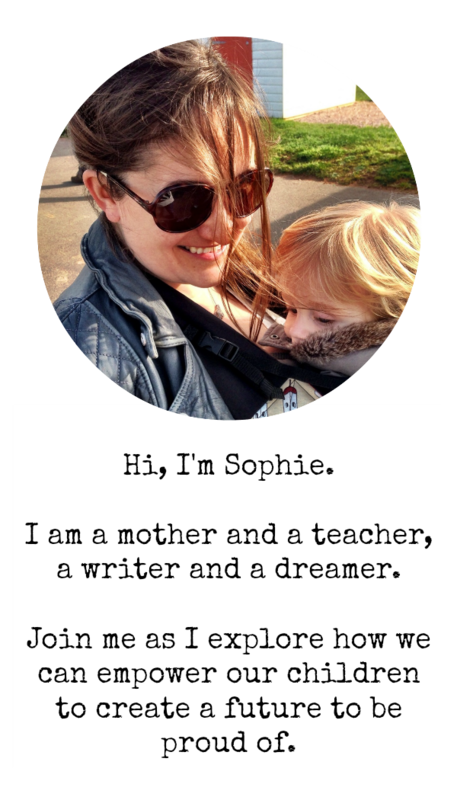 By that point though we had embarked on our path of self-directed learning. 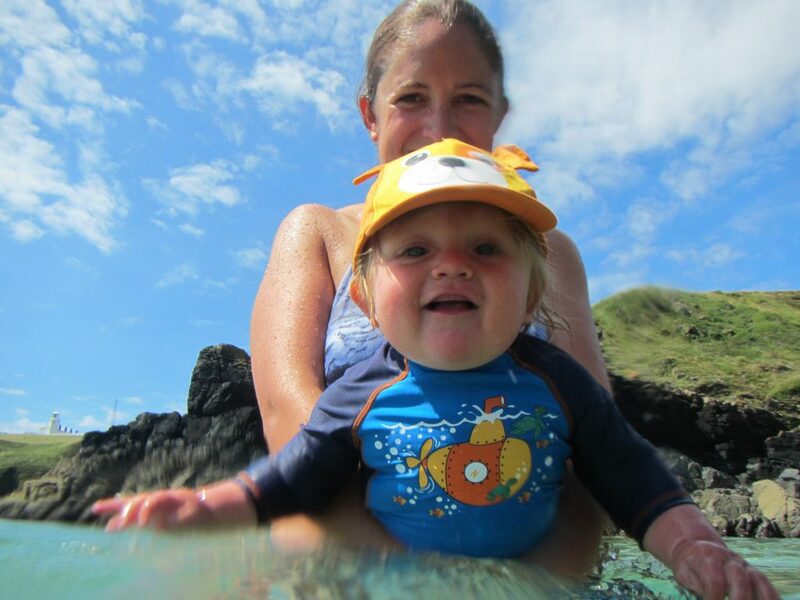 Arthur was hugely reluctant to swim without his float suit, and I didn’t want to force it – he loved the water so much and I hated the thought of it becoming a source of anxiety for him. Then last summer he grew out of his float suit, and we bought him a swim fin. The novelty value quashed any anxieties, and it was clear from the first time he used it that he was having to work a little harder, moving one step closer to independence. 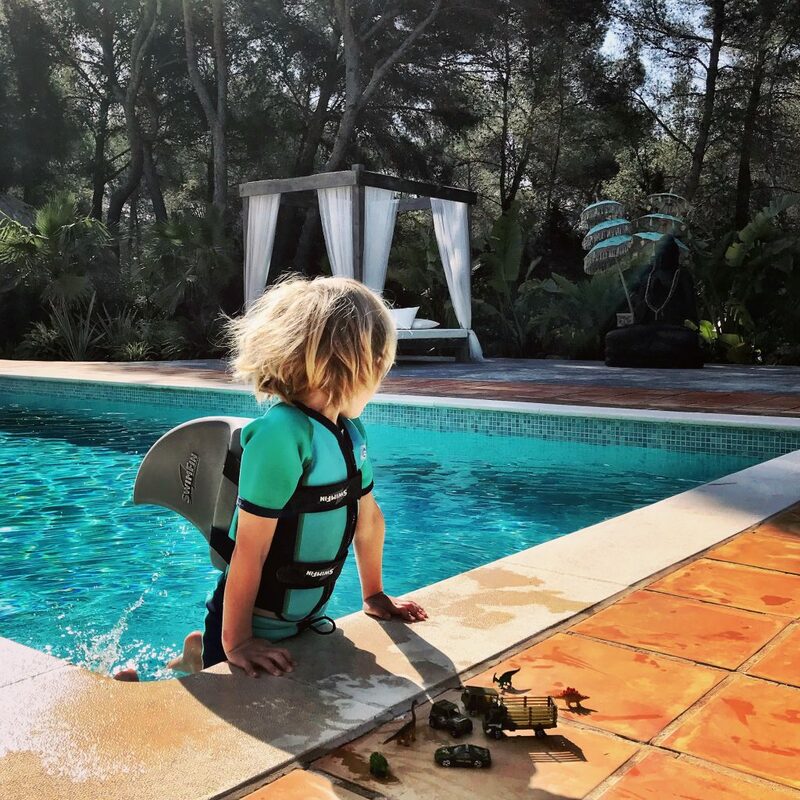 Each time we went swimming I was sure it would be the day when he would make the leap, would be brave enough to go it alone – but each time he insisted he needed his fin. Fast forward to our prep for this trip, and of course the swim fin had to come with us. We had pencilled lots of swim stops in a variety of wild and not so wild locations and didn’t want anything to put Arthur off making the most of the opportunities. The first was one of the most magical – warm thermal waters in Alhambra de Granada. 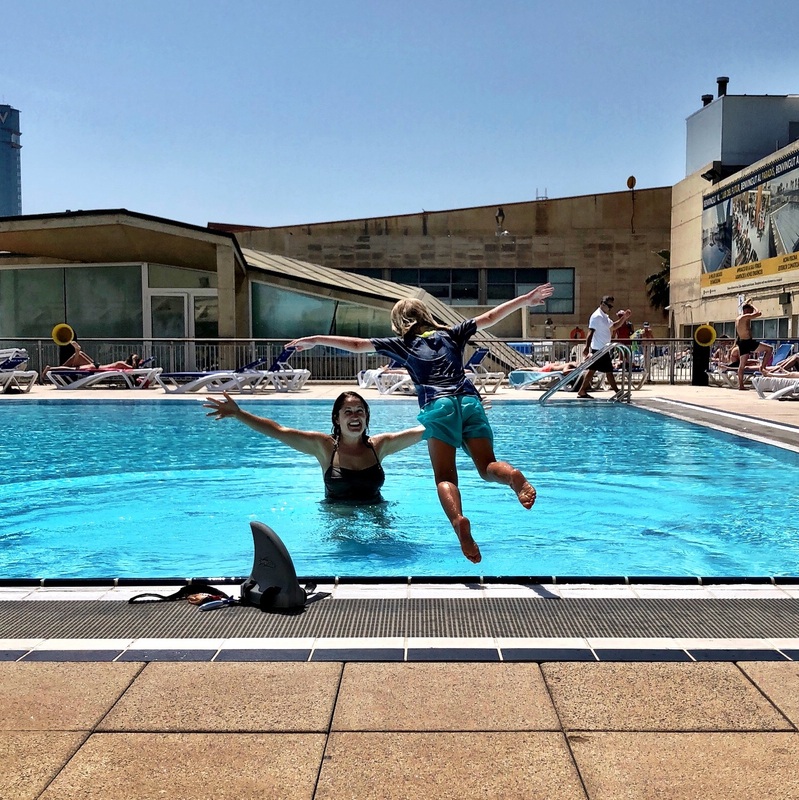 The weather was still cool but it really didn’t matter whilst swimming in a 37 degree pool which steamed in the sunlight. There were a few other opportunities, in the sea in Southern Spain and a chilly but gorgeous pool in Ibiza. It was in Barcelona, though, that something began to shift. We were in the city mainly to hang out with friends, and gave Arthur almost total free reign over the free time we had. 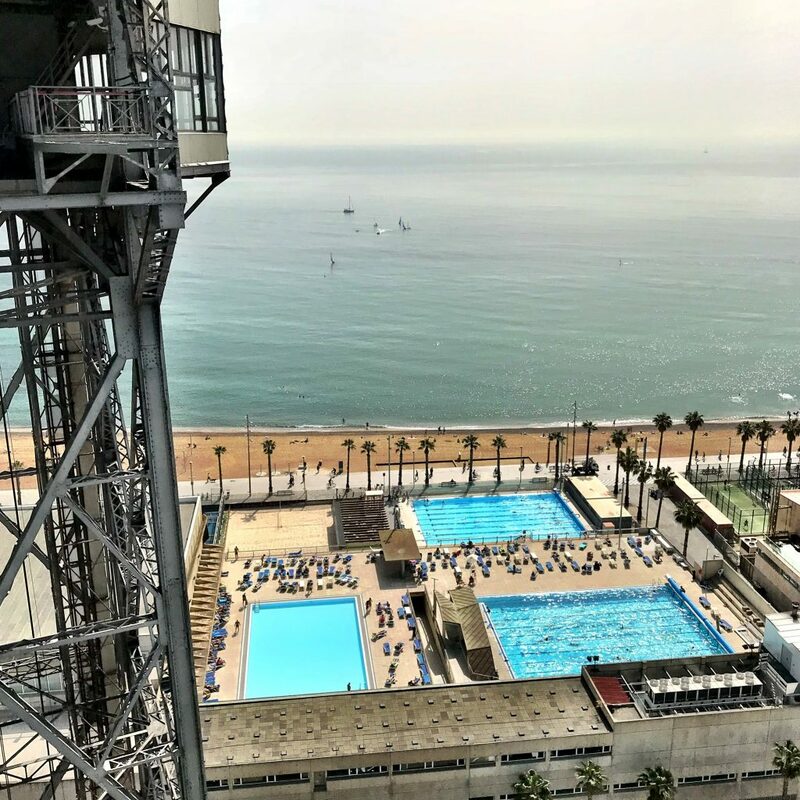 He was super keen to swim – so we took the cable car to one of the very best pools in the city, the open air saltwater pool right next to Barceloneta beach. On the ferry across from Ibiza conversation had drifted to how awful it would be to fall overboard – and particularly for Arthur, who didn’t yet have the confidence to swim without anything to support him. He decided then that he needed to wean himself off the swim fin as soon as he could. 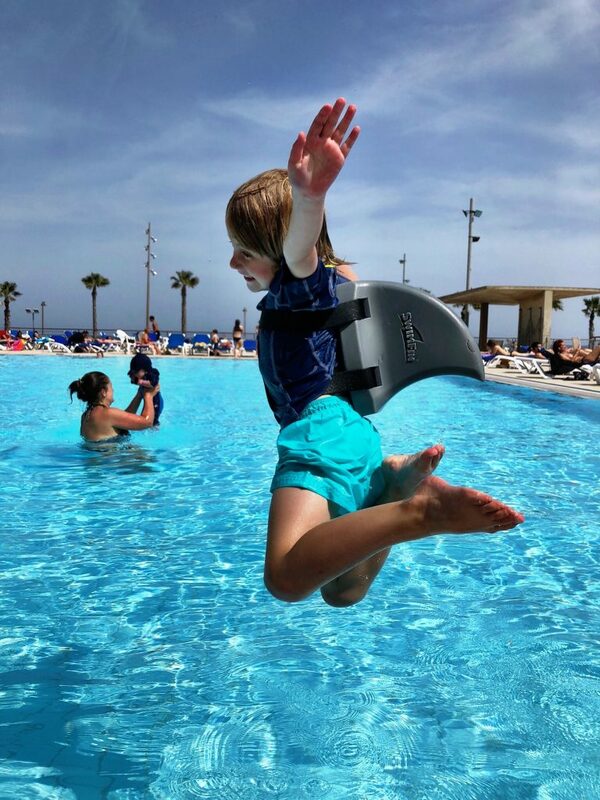 It didn’t happen the first time we went to the pool – he was loving the swimming, the leaping into the water, but always with that reassurance strapped to his back. The second time, though, everything changed. We still took the fin, but Arthur decided he wanted to have a go without it. Not only that, but he decided he would jump in to me and just see what happened. And he swam! Not for long, but unmistakably in control of his movement through the water, with a mixture of breast stroke and doggy paddle. He tried again several times that day, in between breaks where he asked for his float to be strapped back on. Then when we were at the beach in Sardinia a couple of days later his confidence grew still further. We hadn’t actually brought his float to the beach, but he decided he had to swim anyway. The sand shelved down quite steeply, and us taking turns to support him if he needed it he pushed himself off and out of his depth again and again. There’s still a way to go before he will be safe to be alone in the water, but he has made a hugely important leap on this trip – in unfamiliar surroundings to boot. I am so very proud of him, and the fact that he’s got here in his own way and in his own time, and clearly now has ownership over this incredibly valuable skill. We are right at the beginning of the journey again with Orson, and it will be interesting to see the path he chooses to take as he progresses towards becoming a swimmer. He’s definitely enjoying being in the water for now – and that, I truly believe, is the most important thing.